If you live or work in Austin, Texas, it shouldn’t be too difficult to convince you that our regional transportation infrastructure has not kept pace with the city’s brisk growth and that traffic congestion is a problem. 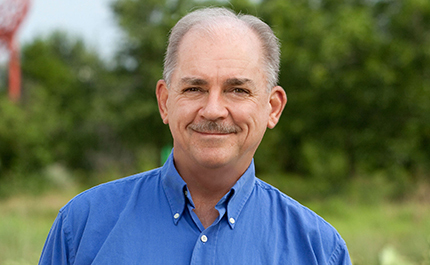 As the debate over how to solve these problems rages on, RVi Principal Mark Smith explores how the concepts of Sustainability and Context Sensitive Design have caught on among transportation planners, and how RVi is utilizing these new ideas to enhance the quality of transportation planning projects in Austin. Austin has experienced a dramatic population increase over the last decade and projections suggest that the population will be 2.5 million by 2020. There’s no question that there will be a LOT more cars on the road. Transportation officials have been scrambling to catch up with this growth and are considering traffic engineering options such as continuous flow intersections, HOV lanes, and tollways. Many of these concepts receive considerable media coverage and are now familiar to Austinites as the debate over how to relieve the congestion rages on. What has not received much coverage but is enjoying attention among transportation planners is a design approach called Context Sensitive Design (CSD). CSD is an indispensable transportation planning and design tool well-suited for use on challenging transportation projects. The drought and the wildfires of 2011 took their toll on the roadside landscape, public agencies are still cutting maintenance budgets in response to the Great Recession, and a groundswell of public opposition to major transportation projects has forced planners to exercise much greater sensitivity to community concerns. CSD is a collaborative process that involves stakeholders in the development of transportation facilities that are appropriate to their context, preserve a community’s scenic, aesthetic, historic and environmental resources, and satisfy transportation safety and mobility criteria. Though we have advanced road building to a multi-billion dollar industry capable of moving mountains in the interest of building highways, we’ve also discovered that moving mountains may not always be the right thing to do. Today, rather than just moving dirt for the sake of moving it, we must seek to find a balance among many important, and sometimes competing, concerns. It is within this context that RVi has been working to develop CSD solutions for several major transportation projects in the Austin area including the extension of Parmer Lane through Wildhorse Ranch in northeast Travis County. As a CSD consultant on the engineering team led by RTG, RVi will soon be providing CSD solutions for the Oak Hill Expressway (U.S. 290 at SH 71W), and the Manchaca Expressway (SH45 SW) in southwestern Travis County. Let’s take a closer look at some of the CSD principles that will be employed as these projects move forward. Recognizing that our dry climate poses a significant challenge, we must find ways to reduce irrigation demand through the use of tough drought-tolerant plants and non-vegetative mulches, integration of water-conserving irrigation equipment, use of temporary irrigation systems that can be dialed back after plant establishment, and the use of alternative water sources like rainwater harvesting and recycled water. 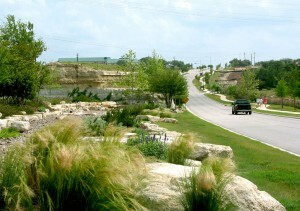 RVi has developed a landscape concept for the Parmer Lane right-of-way that includes the protection of existing specimen trees and landscape features through careful grading and utilizes a native xeriscapic and low-maintenance plant material palette tailored specifically to the microclimate and soils of northeastern Travis County. In the interest of standardizing slopes, clearing obstructions, and ensuring construction efficiency, grading the entire right-of-way has become standard practice for transportation projects. The impact of such a policy, however, can be devastating to a community. 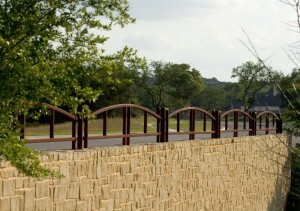 Parmer Lane, cutting across undeveloped ranch land, will be graded as close to existing grade as possible to retain the beautiful existing character of the land, reduce cut and fill, incorporate terracing to limit the use of retaining walls, and utilize bioswales to reduce stormwater infrastructure. The results can be impressive: saved trees, less drainage infrastructure, reduced erosion potential, enhanced percolation of groundwater into recharge zones, reduced irrigation demand, natural filtration of pollutants, and protection of downstream water resources. Preserving desirable existing features such as specimen trees, cultural and historic artifacts, and creeks reduces the need for replacement materials, is good for the environment, preserves the character of a place, and better integrates the roadway into the landscape. While design for preservation can cost more upfront, the savings realized by reduced replacement costs, reduced landscape establishment time, and goodwill among stakeholders gained in the process can make the effort worthwhile. Transportation projects have traditionally been about moving cars. Today, we also consider pedestrians, cyclists, and wildlife as potential components of a well-conceived mobility plan. To incorporate such mobility enhancements without compromising vehicular mobility, we need to understand how the corridor has been used historically and consider the use of dedicated pedestrian and cycling trails, safe crossings, and wildlife corridors that respond appropriately to that context. Among the most divisive aspect of any large transportation projects is the road itself. For roadways that run through areas where preservation of existing features such as wetlands, wildlife habitat, and aquifer recharge zones may be important, flexibility in horizontal and vertical alignment that can work around such features is a critical consideration. The Parmer Lane extension is intended to work closely with existing topography and to provide places for bioswales, carefully consider with viewsheds, and of course, to enrich the driving experience. Though maintenance may be the least quantifiable of CSD factors, it is one of the most important and most costly, because transportation agencies have to maintain the roadway forever. Early evaluation of factors like durability, design slope and its impact on mowing safety, service access, landscape pest and disease control, and the reduction of irrigation and pruning will help designers respond specifically to agency maintenance goals and effectively control long-term costs. Finally, the identity of the community through which a roadway passes – its context – is central to CSD. Yes, engineering is important but if it destroys the integrity of the community it serves, it may do more damage than good. There’s no substitute for meeting with residents and business owners, walking the corridor, and carefully inventorying existing features. This effort will help ensure the development of a design vocabulary that responds appropriately, preserves, and enhances the community. 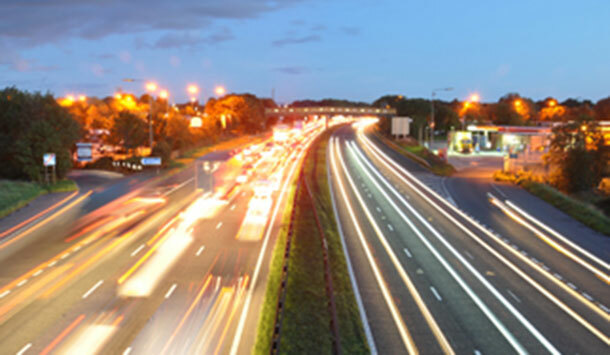 By considering and implementing CSD principles early and in conjunction with important engineering practices, many of the historically disagreeable aspects of large-scale transportation projects, such as division of communities, loss of character and context, and traffic noise, can be successfully mitigated and managed. Communities just need to know that they can be involved in the process of solving tough regional mobility challenges and that their input can make a very real difference.